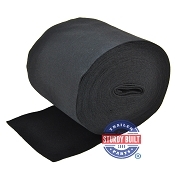 This listing is for 12" Wide Heavy Duty Black Marine Grade Bunk Carpet sold by the Foot. Simply select the Foot Quantity needed, and you order will be cut to that length. We do not do multiple cuts, so you can select the total quantity, and the Carpet will arrive in one continuous roll, to be cut easily to length when it arrives. 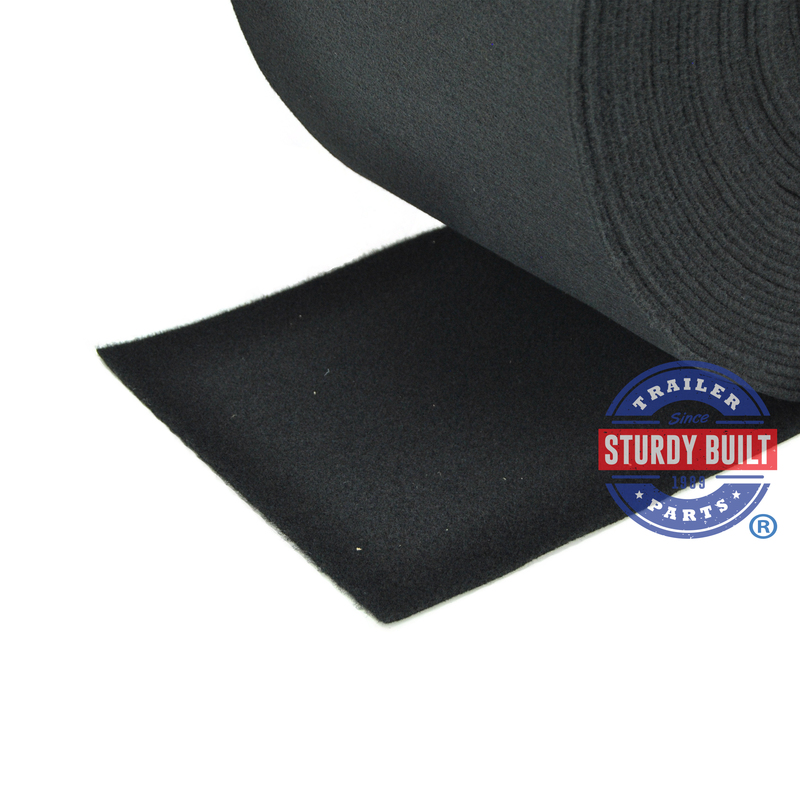 This is 16 oz weight Black Bunk Board carpet without backing. Having No Backing allows this carpet to withstand significant force and boat hull wear, while still allowing excellent moisture dissipating capabilities. This makes this carpet ideal for very abrasive use. In addition, carpet without backing is ideal for use on light to heavy duty applications, such as boat bunks and boat lifts. This carpet is cut to this 12" width from a much wider sheet of Marine Carpet. 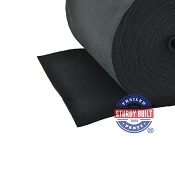 This Carpet is easily installed with Staples or Bunk Carpet Nails, and is ideally used on 2" x 4" or 2" x 6" Bunk Boards on Boat trailers and Boat Lifts. This bunk carpet allows for minimal water retention and maximum weather resistance. This trailer carpet performs extremely well in saltwater as well as freshwater. Having properly functioning bunk carpet is crucial for protecting your boats hull from damage. 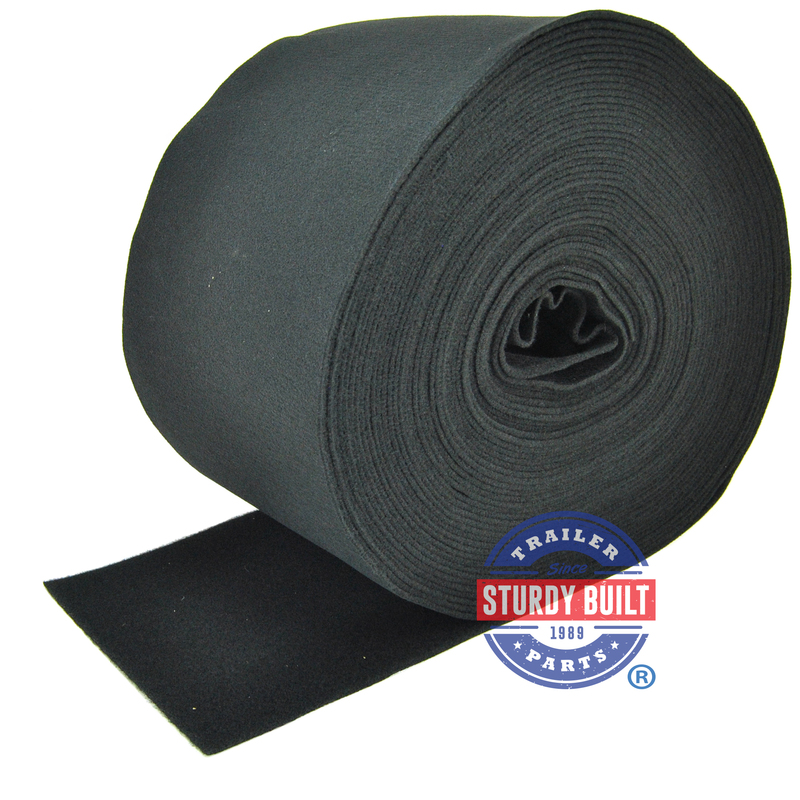 Heavy duty bunk carpet prevents pre-mature tearing and will keep your boats hull from making contact with your bunk boards. This Boat trailer Bunk Carpet is what an OEM would use, so in most cases is the same carpet that came with the boat trailer right from the Manufacturer. Good Quality Bunk Board carpet at a Really Good price. It’s exactly what you need to replace the old worn out carpet. I was impressed with the quality of the carpet and the speed of delivery. Thick pile and good quality bunk carpet. Great price for a good product. This carpet is a lot thicker than the stuff I've been getting off of Amazon suppliers. It's got a deeper pile and thicker mat, but not so much that you can't work it around corners at the ends easily. It's not pricey, so order more than you need just in case. Wish I did. Used this material on my boat trailer 2x6 bunk boards. Good quality, and being able to purchase by the needed length, limits waste, saving money! Carpet looks great, great quality and easy to install. The bunk carpet was exactly as advertised, went on great. Width was generous, not skimpy like some. Plus I was able to buy exactly what I needed instead of getting stuck with 6 small leftover pieces caused by having to buy specific lengths like most mass retailers. Thanks for a great product. The bunk carpet worked great. It was easy to work with and looks great on the boat trailer. The boat slides onto the trailer with ease now. The carpet was a lot more reasonably priced than other outlets.